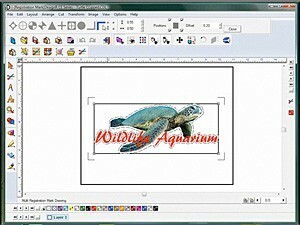 i-DesignR is Graphtec’s exclusive Graphic Design software package for use with the CE5000 series cutting plotters. With powerful vector editing, import filters, and automatic rhinestone pattern creation applied to your vector design — for the ultimate, custom apparel application. 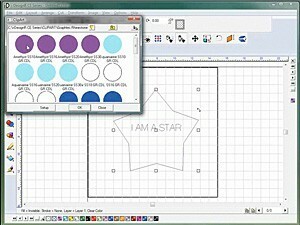 You can design using shape tools, clipart and single line fonts. 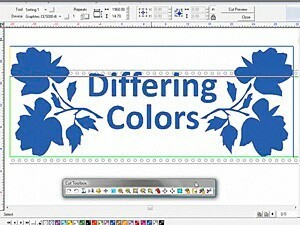 i-DesignR is also perfect for vinyl signs, contour cut (Print and Cut) and various textile heat transfer applications. 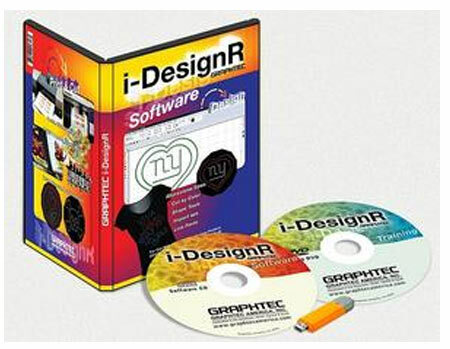 Includes Software & Training DVD. *Must have one free USB port for the dongle key in order to use the software.